Electric pressure washers require less maintenance, but you shouldn’t pay the price of a gas model for an electric with a mixed bag of attributes. This Karcher pressure washer was effective at stain removal but not impressive at cleaning overall. It has two nozzles–one adjustable and one for soap. The hose reel is attached at one end, so you only unreel what you need and easily rewind it after. But there’s a quick connect only for the wand end of the hose. We liked the built-in soap tank and the flow control for the cleaning agent. The trigger lock, however, must be manually set. Generally, you could do better for the price. Easy to move and transport. Easy to operate — just plug it in — but may need an adapter for some outlets. Very convenient hose storage, built-in reel with only a wand connection. Cord is very easy to wrap and store. Wand very easy to remove and use. Very easy to use and read on-off switch. 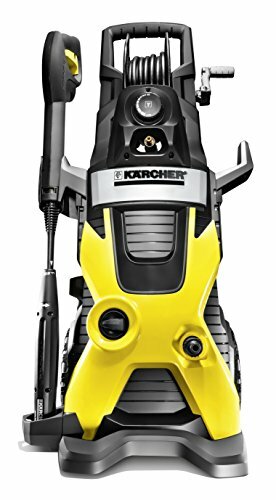 The Karcher K5 740 is part of the Pressure washer test program. In our lab tests, Pressure washer models like the K5.740 are rated on multiple criteria, such as those listed below. 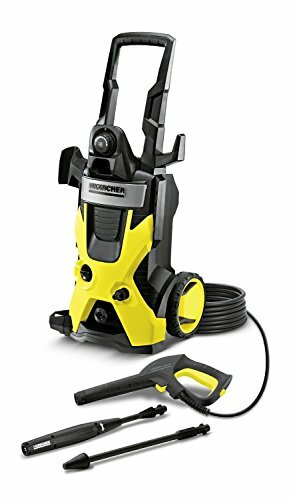 This pressure washer from Karcher is electric-powered (120v) and claims 2,000 psi max with 1.4 gpm. It comes with two nozzle tips, solid wheels, and the cleaning tip is adjustable. It weighs 35 lbs.